Thank a First Responder Now! 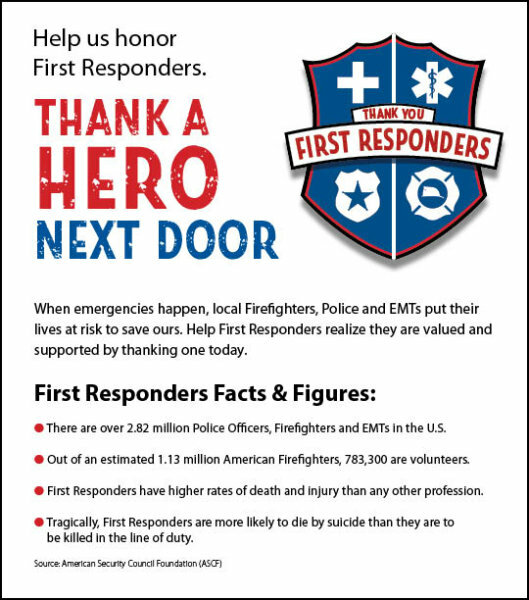 Have you ever been helped by a First Responder? Or just want to say Thank you! Now is your chance, we will share all notes collected with the professionals who help us everyday. Note: For privacy only first name and last initial will be used.